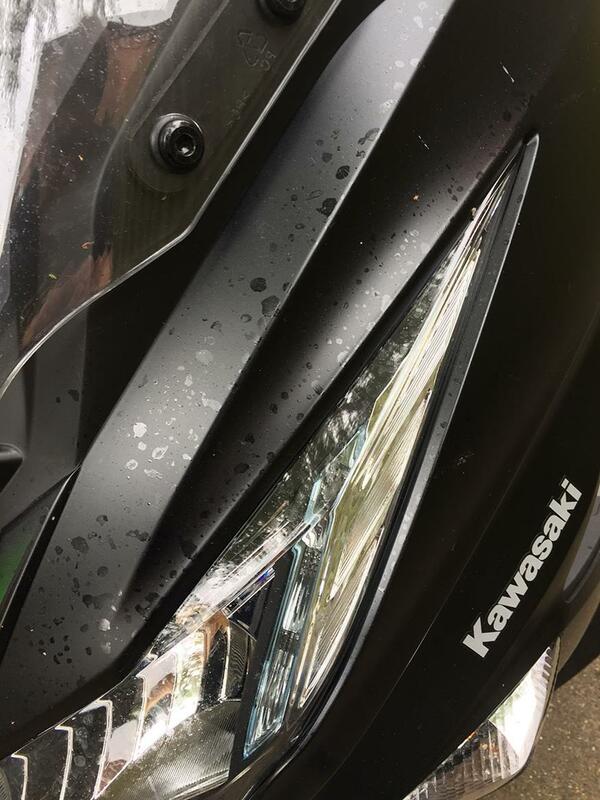 So far, I’ll admit that thanks to a rather hectic schedule I haven’t had much of a chance to do much riding on my Kawasaki J125 long termer! Arriving while I was in Qatar for the opening round of MotoGP, an intense few months of racing hasn’t given me much time at home. Which has highlighted the only thing I can pick fault on the comfortable big maxi-scooter after a hundred or so miles commuting to and from the office and nipping around town making the most of the huge amount of underseat storage. See, once you get a look at the J125 up close you very quickly realise that it’s worth every single penny of its £3799 RRP. This is no 50cc scooter for a teenager – it’s a polished bike for your professional commuter. Which brings me to the problem. My long termer is in a beautiful satin black, which looks fantastic – but it doesn’t half show up water marks if it sits out in the rain for too long! 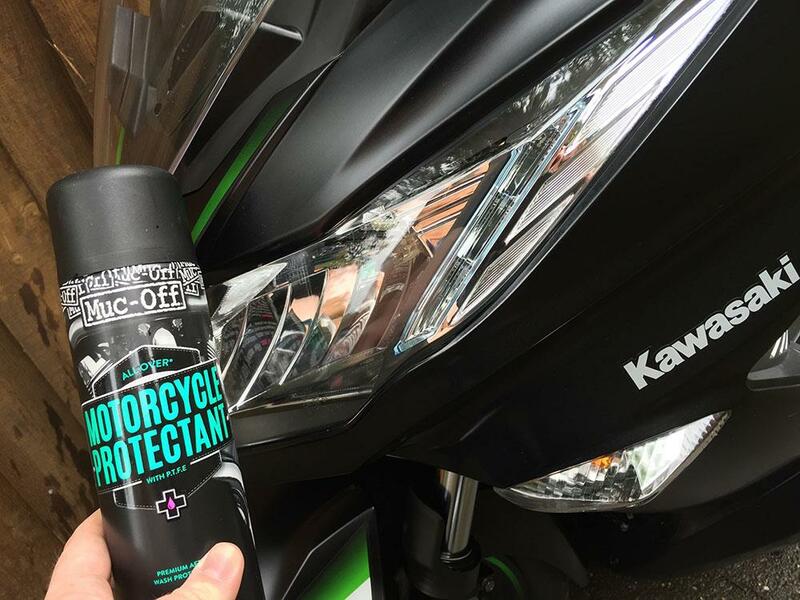 Thankfully, a bit of elbow grease and a liberal amount of Muc-Off’s Motorcycle Protectant seems to have fixed the problem for now. I suppose if nothing else it’s going to be a good chance to carry out some bike polish testing over the next few months!